On April 2, 2017, Rev. Wally Johnson from Sapulpa, Oklahoma, was unanimously elected, by a vote of our members, as our new pastor. 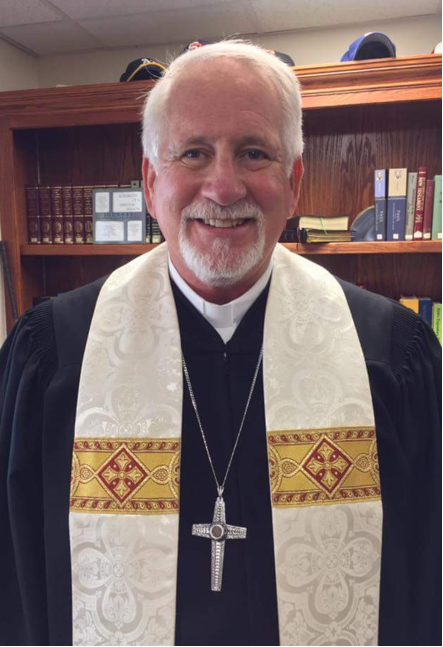 His ministry at Northmister started on June 1, 2017, as he replaces Rev. Chris Carlson, who retired on May 31, 2017. Rev. Wally’s first Sunday in the pulpit was June 4. I am a passionate follower of Jesus Christ who happens to be a minister in the PC USA. I serve Northminster Presbyterian Church in beautiful Sarasota, FL.. I am blessed with a wonderful wife who puts up with me, 5 kids (grown and raised) and three grandkids. Life is good. I enjoy riding my bicycle, motorcycle (HD Ultra Limited), and playing golf. I enjoy sports - especially soccer (okay I know....) I take God seriously but not myself. I once heard that children laugh about 400 times a day and adults about 25. I am aiming for 400! I love this journey of faith we are on and the joy of daily finding out more and more about the greatness of God and his loving heart in Jesus Christ.